The snow switch is turned on in mid December and we see consistant falls from then through to the end of February. Mid January to mid February is the best time to come to Japan to ski and snowboard as the base is set and we receive constant top ups. Being a weather based sport can bring it’s frustrations and every slider has heard the cries of you should have been here last week. With the lack of crowds this season and an abundance of accommodation options the decision to come to Hakuba can be made on a whim. Cheap flights from many carriers can mean you can look at the forecast and say, “ok lets go”. For those living in Japan it’s even easier. A weekend trip leaving work on Friday and heading straight for the mountains is so easy to do. It’s only 2.5 hours from central Tokyo to Hakuba. The next couple of weeks is looking amazingly good for Japan so if you are following the powder around the world then I would get to Hakuba now. It’s been a while since I have seen such a good line up of cold systems. I may be wrong but the consequences are not so bad. It’s a great place to be anytime of winter. Come and shred Japow. Thanks Mika Selroos for another great pic. This entry was posted in Hakuba, ski and snowboard, snow and tagged best snow in Japan, best time to ski Japan, cheap flights, powder, ski japan, snowjapan. Bookmark the permalink. I reckon March is also an unbelievable time to be in Hakuba, With increasing sunny days and a more consolidated snowpack the backcountry lines are almost endless. Im also just starting to get a grasp on quite how easily accessed most of it is. Hakuba truly is a freeriding Mecca not to missed out on! I love March too Joe. My life gets back to normal and I have much more time to explore these mountains. Throwing in a couple of powder days amongst the sunny ones means it has something for everyone. I’ll catch up with you on the hill then Joe. I am coming to Hakuba in a couple of weeks 10th-14th Feb 🙂 can’t wait to escape the 40C heat here in Perth! 40 degrees is not fun. I am sure you will love the change. Thanks for sharing this.I thought the best time to ski is on December and thanks to your post that informed me of the right timing to visit Japan to ski. 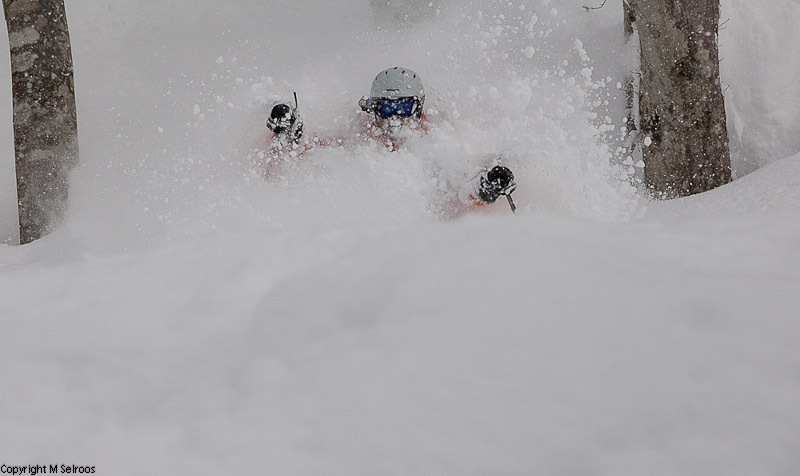 We had one of the best storms of the season come through in early April this year which was amazing. It also depends on what type of skiing you do and your level Skia. For backcountry touring it is probably better in March and April as the snowpack is more stable. For beginners I would suggest the same as the temperatures are a bit more pleasant. For someone with a bit of experience then definitely January and February for the powder. I am going to Hakuba this March but we are beginners in skiing. Is it wise to go there in late March? Hi Hui. March is actually the best time to learn to ski here in Hakuba in my opinion. You will get some beautiful sunny days between the usual snowfalls. All of the resorts will still have lots of snow at that time. I’m considering a mid-march trip to Hakuba. Coming out from Lake tahoe California. How soft will the snow pack be around this time? Worth the trip for an advanced group of skiers? excited even at the prospect of coming! Hi there, we’re thinking about visiting around 20th feb next year. Would it be too late for a powder run? Hi Laura. Early April is fine for snow. The lifts will run until the first week of May. Let me know if you require accommodation. We offer a private shuttle service to all the resorts.The public one stops running att the end of March so make sure where ever you stay offers the same service.